Deeply convinced that all activities related to food production and consumption are essential for the sustainable development of cities, Risteco aims, with the project “Eating city”, to carry on the dialogue, in order to foster long term vision of public & and private decision makers on the future of sustainable urban food supply chains worldwide. In short, Eating City platform designs a road map to contribute to the construction of a new economic paradigm that aims to place again human labor at the center of economy and to consider the environment among the entrepreneurial decision variables, in order to develop a new culture of doing Business. 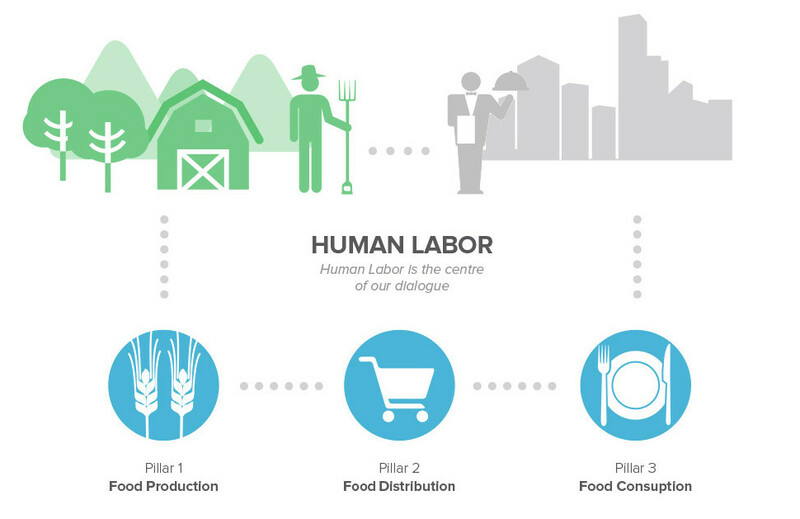 Eating City process moves forward through thematic workshops and conferences that focus on 3 main pillars : Food Production, Food Consumption and Human Labour. Meeting contents and exchanges are presented in different reports.